The house site is perched on a level patch of land at the edge of a slope down to the water. There are great views of the pond below and across to the hills beyond. The challenge for us was that this view is to the north. In order to bring light into the north-facing common rooms, we exploded the box, throwing roof forms up to the east, west, and south. 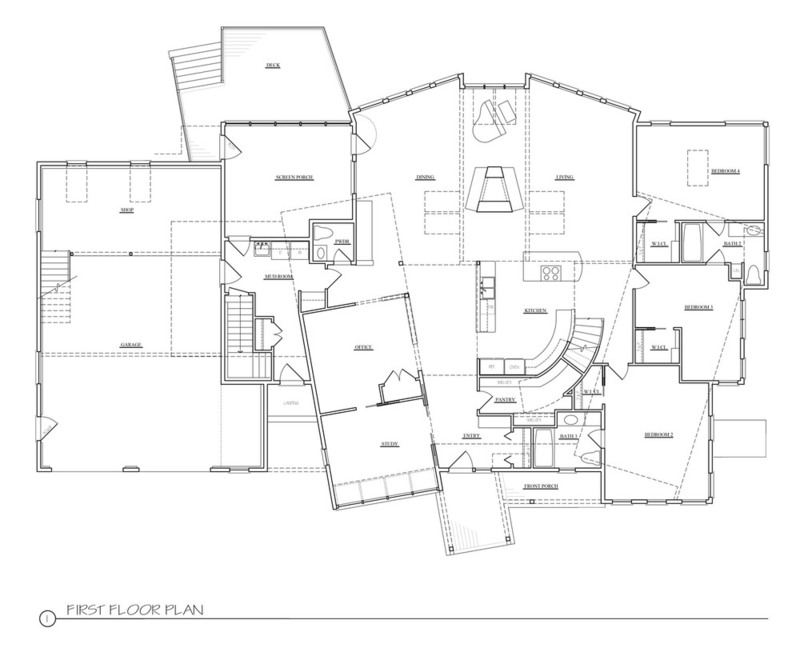 The program for this four-bedroom home was unusual in that the clients wanted the children’s bedrooms on the ground floor while their suite was to be located on the second floor. The children’s wing is a splayed two-story bar containing their bedrooms and bathrooms adjacent to the open-plan living areas with playroom above. The common spaces are contained under three angled roof forms with expansive views to the north. 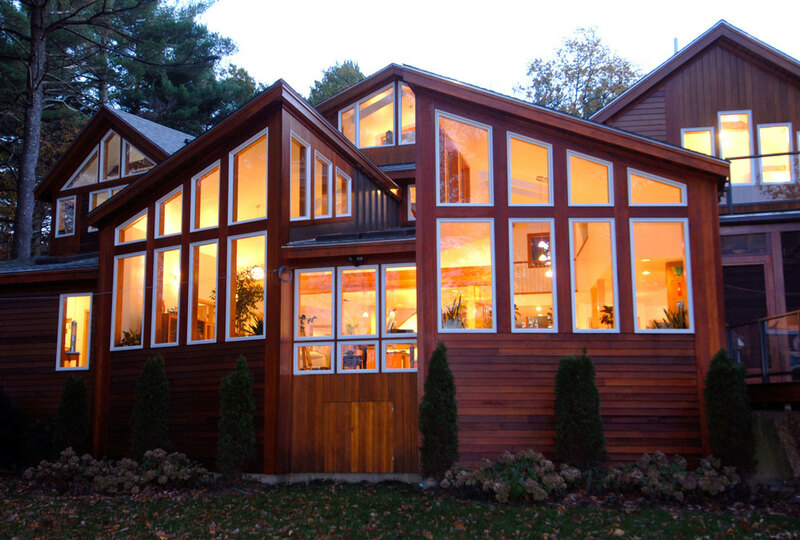 The two larger roofs are angled with clerestory windows to draw east and west light into the spaces. There is a second-floor loft spanning between the children’s and parents' wings, with front-facing windows that allow for south sunlight to penetrate deep into the north-facing areas. Above the loft is a crow’s nest observation room that also functions as a monitor, providing an additional source of light and ventilation over the core of the house.